Conduct a field research project on a topic such as water pollution, the Clean Water Act, agriculture in the watershed, political organizing around environmental issues, race relations and social justice, or urban riverfront revitalization. Explore the history, literature, food, music and culture of the Mississippi River. Gain skills tailored to meet the needs of partner organizations, including businesses, graduate schools, nonprofits and government agencies. Attend town hall meetings and meet with environmental organizations along the river. Hear from guest lecturers about authors Mark Twain and William Faulkner, ancient river civilizations, American Indian communities and their fight for justice, and the Dead Zone in the Gulf of Mexico. Students will return to the Twin Cities via train in mid-December and will arrive at St. Paul Union Depot. 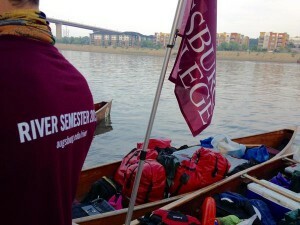 An overview of the trip can be found on the River Semester website.